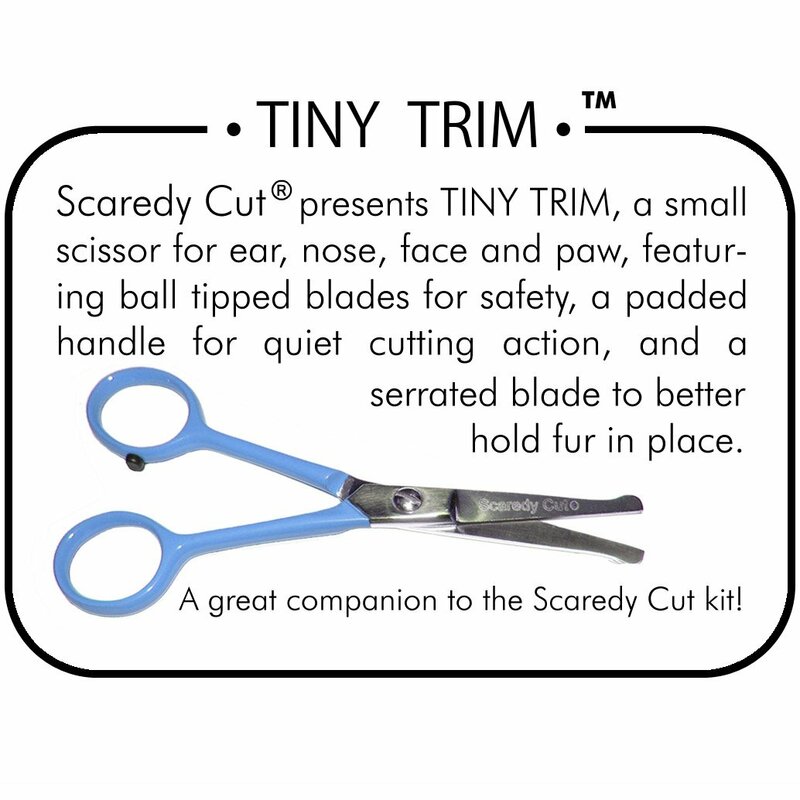 SCAREDY CUT presents the TINY TRIM, a small, ball tipped safety scissor for pet grooming in tight spots and sensitive areas such as the ear, nose, face and paw. Featuring ball tipped blades for safety, a padded handle for quiet cutting action, and a serrated blade to better hold fur in place while cutting, TINY TRIM is an ideal companion to the Scaredy Cut kit and a superior choice for groomers. 100% Satisfaction Guarantee for 30 days.